I've been on a little bit of an olive binge lately, so it was inevitable that some would fall into a loaf of bread. I had my choice of a few different types, but decided to use green olive stuffed with pimentos, mostly for the color. Then I decided to add just a little bit of cheese. For the fun of it. The resulting loaf is rich, with little bursts of salty-savory olives and sweet-savory bits of pimento. I used a white cheese, so it mostly disappeared into the loaf, but you can see brown flecks in the crust where the cheese was near the surface. If you use an orange-colored cheese, it will be more visible in the bread itself. The one funny thing about this loaf is the green olives that are close to the surface, but barely covered by a film of dough ... they look a little odd because they're a greenish-white color. 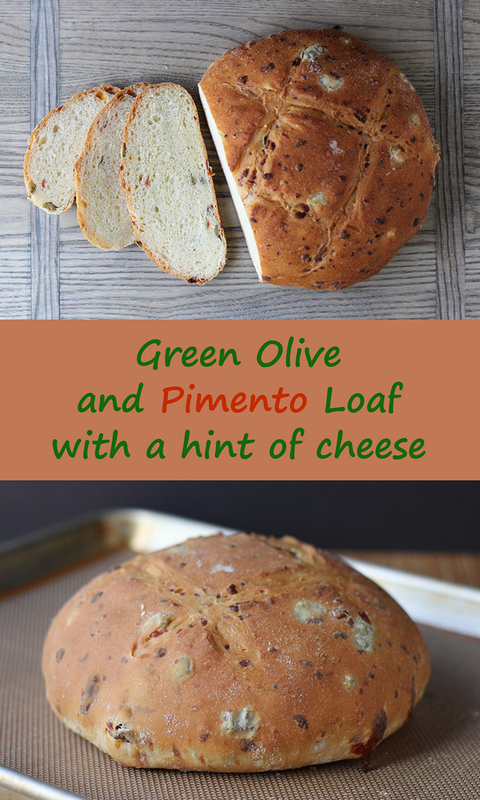 So make sure everyone knows that they're looking at green olives and not something evil growing on the loaf. To make this bread, I used a crisping mat made by Mrs. Anderson's and supplied by Harold Import Company via 37 Cooks. Hmmm. Is that unclear? 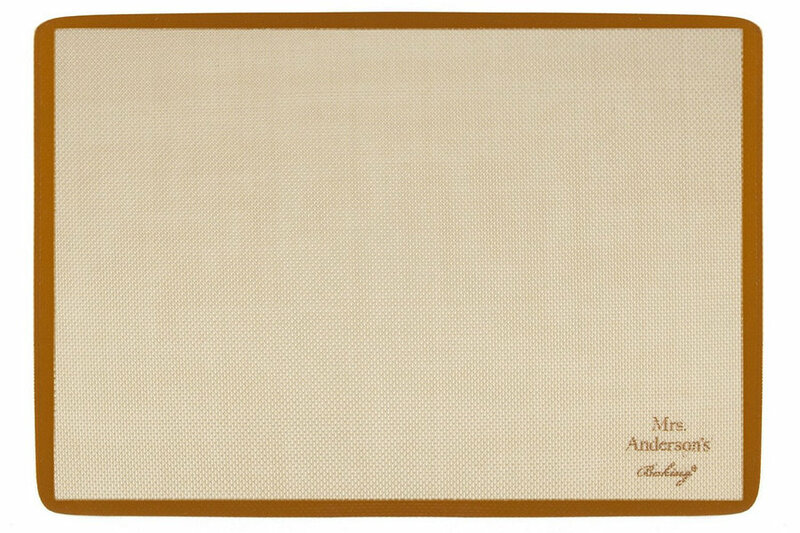 I belong to a group blog called 37 Cooks, and we're doing a challenge using the Mrs. Anderson's crisping mats (and standard silicon mats) that Harold Import Company sent to all of us. I've tested the crisping mat quite a bit, and I have to say that I'm really pleased with the results. The surface is nonstick, so there's no need for cornmeal under the dough. The mat is actually a very fine mesh, so there are holes that allow air circulation under the baking bread. It's really a great idea. 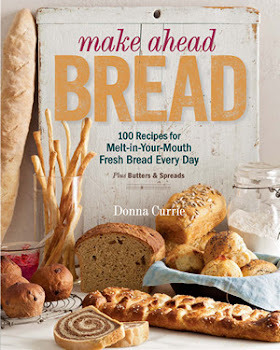 Even if the bread is a little sticky - like a sweet bread that might ooze sugary stuff - or a cheesy bread like this one - the bread doesn't stick and the mat is easy to clean. It's dishwasher safe, but things like this are awkward in my dishwasher, so I've only washed it by hand. Combine the water, yeast, sugar, bread flour, salt, and olive oil in the bowl of your stand mixer fitted with the dough hook. Knead until the dough is smooth and elastic. Add the cheese and olives and mix until well combined. When the dough has risen, flour your work surface, place the crisping mat on a baking sheet, and heat the oven to 350 degrees. Slash the dough as desired and bake at 350 degrees until nicely browned, about 45 minutes. I received two baking mats at no cost to me from Harold Import Company via 37 Cooks.